Parents and children of Lake Worth, Florida — rejoice! 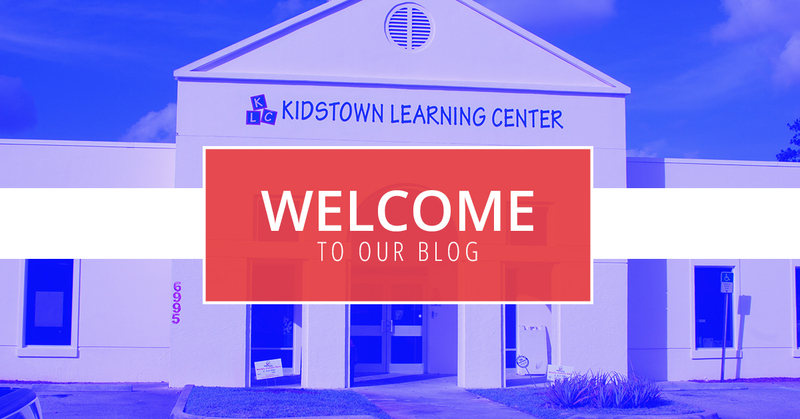 Kidstown Learning Center, your go-to child care service provider for infant care, preschool, and more, is up and running with our brand new blog. Here, you’ll learn about the many great services we provide, why we love providing those services, and how those services can benefit you and your children. Whether you’re here in Lake Worth, Boynton Beach, Green Acres, or Wellington, our fundamental goal is to be the place you love and trust where your child can learn and grow. We offer a variety of child care and educational services that allow for learning and nurturing in a fun, caring atmosphere. It’s our passion, the fuel that drives us, and the way we’ve always done business. We want you, the parents, to have the peace of mind to know that your child is well taken care of in a home-like atmosphere, even during those times that you can’t be there. Our low teacher-student ratio is what allows for that to come to fruition here at Kidstown. We truly are your child’s place to learn and grow. So, come along and find out more about what we do. At Kidstown Learning Center, we specialize in a variety of educational, development-centric programs for your kids from infant age to elementary school and beyond. Here are a few of the classes that we offer. Infant care requires a little more attentiveness and TLC — tender, loving care — than other forms of daycare. That’s because it’s important that your child spends their formidable years wrapped in a nurturing blanket of affection. However, we know that you can’t always be there, which is why we’re here; our staff is thoroughly vetted and qualified to handle all of your infant care needs, and we produce daily reports which include nap times, eating, drinking, and diaper changing. Any special requests? We can handle it. Get in touch with our staff today to learn more about our infant care programs. Your toddler needs an environment where they can learn and discover the world at their own pace. At Kidstown Learning Center, we allow that with a warm environment which promotes growth through interaction with other toddlers, fun learning programs, and more. We’d like to be the ones to help guide your toddlers through their early development stages in order to help set them up for success. Learn more about our toddler day care services today. Kidstown Learning Center feels that learning should be fun and simple for children ages 2-4. That’s exactly why we’ve designed a great preschool program that makes for an all-inclusive and encouraging learning process, allowing your preschooler to learn about things like language, science, math, drama, music, reading, cooking, and more. Kidstown Learning Center is neighbored right next to Manatee Elementary School here in Lake Worth. Our facility features more than 8,700 square feet of indoor daycare space, along with a shaded outdoor space complete with a playground and room to run. We’d love for you to come see why Kidstown is Lake Worth’s trusted facility for infant care, day care, and more. So remember, stay up to date on our blog and contact us today!